The Incredible India party was held at the ongoing 65th Cannes Film Festival with much fanfare. 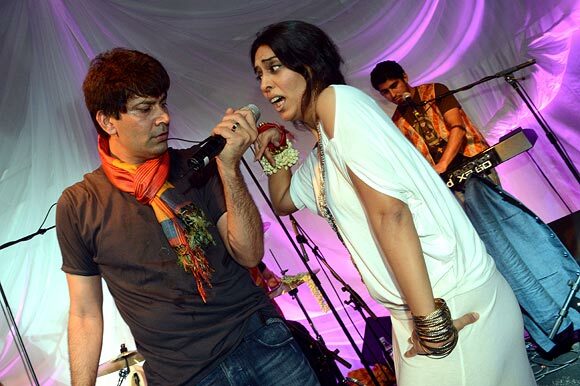 Singer Jasbir Jassi is seen performing along side a dancer at the party. 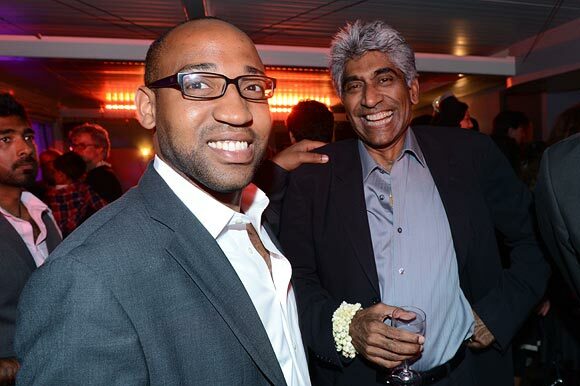 Film producer Ashok Amritraj was present at the party with Caleb Franklin. 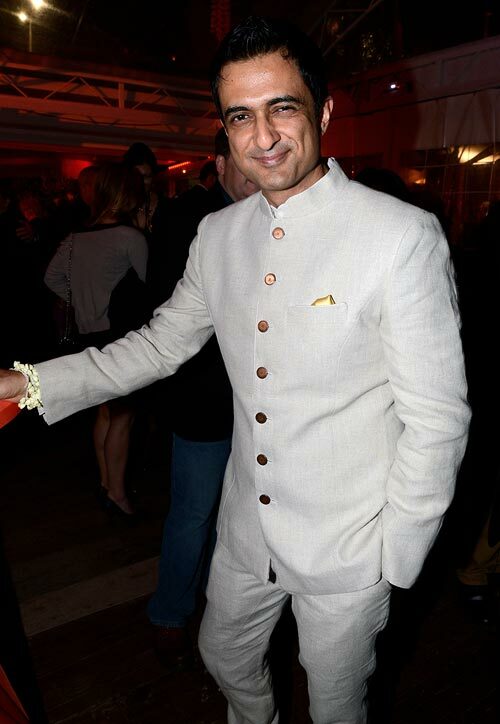 Actor Sanjay Suri looked sharp in a bandhgala as he mingled with guests at the party. 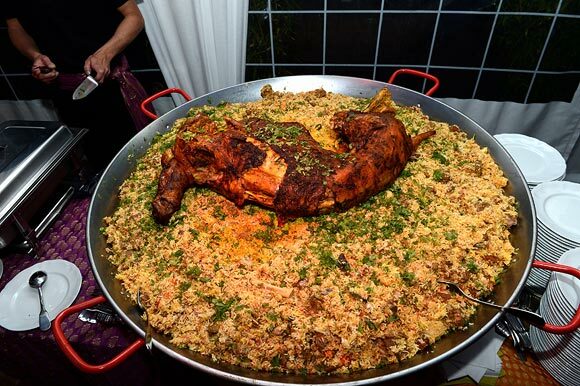 Indian delicacies like biryani were served to the attending guests. 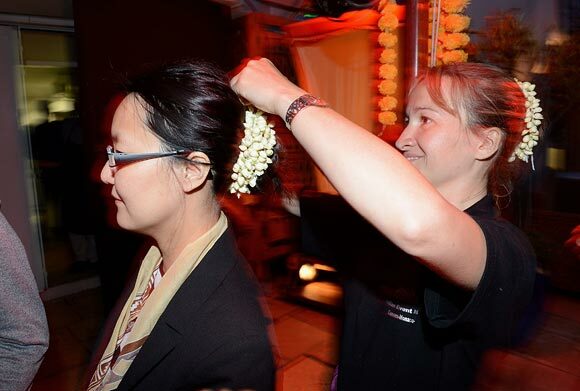 Guests tie gajra as they arrive for the party.